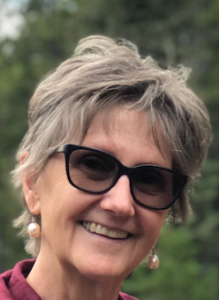 Paula M. Carbone is an Associate Professor at the University of Southern California in the Rossier School of Education, where she works with pre-service teachers and Ed.D students. Before then, she was an AP* English Language teacher in Los Angeles public schools for many years. During her tenure as a public high school teacher, she received National Board Certification and is a Writing Project Fellow from UCLA. Through research and professional development, she continues to have an active role in teaching high school students and working with teachers in the Los Angeles area for the promotion of academic writing with secondary students. Paula is committed to access and equity issues in AP* classes to allow for students’ intellectual advancement and informed engagement in economic, political, and social arenas. This presentation will include introduction and application of the new AP resources. Focus will be on instructional strategies to prepare students to engage with texts critically and to formulate informed arguments on issues of importance. While the intent is to prepare students for success on the AP English Language exam, the tension between “test prep” and curricular planning will be investigated through examination of in-depth rhetorical reading and writing approaches to highlight the current emphasis of the course and the test. Nurturing of mature perspectives and critical reading within the classroom will be explored through various texts, traditional print and multimodal. The basics of rhetoric for the AP classroom will be covered, with emphasis on analyzing and constructing texts using argument and persuasion. Participants should come prepared to engage in analysis of texts reflecting multiple genres, time periods, and perspectives, writing activities, unit lesson planning, multiple choice and free response test question construction, and discussions to share strategies. Through discussion and analysis, the workshop will provide strategies for helping to prepare students not only for the test, but also for life in a complex and ever-changing world. Overview: The test, the course, the audit. Rhetoric for the AP™ English Composition classroom, including the five canons of rhetoric and a brief history of rhetorical principles. Style: Using what students know to promote clarity and grace in writing. Analysis: review of a rhetorical analysis to scaffold for students the difference between rhetorical analysis and the literary analysis, and elements to include in a rhetorical analysis. Scoring calibration: Rhetorical Analysis. Examination of the 2018 question. Strategies for strengthening students’ argument essays, using invention and arrangement. Examine the 2018 argument exam question. Review and discuss multiple-choice strategies. Engage with visual literacy and connect to reading strategies. Examine the 2018 synthesis exam question. Pedagogical implications for underprepared students.